How important is SEO when it comes to B2B marketing? It is actually more significant than you might think. According to Google and Millward Brown Digital, as of 2015, 89% of B2B researchers use the internet to find B2B services. Since all B2B customers are now online, digital marketing, in particular SEO, should be the foundation of your B2B marketing plan. So, does your website provide useful, high-quality information for B2B customers? It certainly should if you want to drive traffic, brand awareness, and conversions—all benefits of B2B SEO. In this article, we provide 4 tips to improve your B2B SEO in a niche market. In comparison to consumer goods, products and services in B2B markets usually have less demand. This can be an advantage in the field of SEO, as it means that there may be less competition in terms of search rankings. So how can we effectively reach customers via SEO in a comparatively small market? The answer is long-tail keywords, which are highly focused search queries that fewer people are searching for but that tend to have higher conversion rates given their specificity. Start your keyword research with the name of your products along with some specific terms, such as review, pricing, benefits, comparison, alternative, etc. This should generate a list of keywords that you can use. There are many variations to long-tail keywords, so don’t be afraid to be creative! Unlike products in the B2C market, a B2B purchase usually takes much longer to complete. Most B2B purchases are high-priced and considered long-term investments. Thus, decisionmakers are involved during the buying process. Let’s say you are going to buy an enterprise SEO tool. The marketing manager will ask about features of the tool and how it can fit in the current SEO campaign. The IT manager will want to know if the tool provides any technical support. And your boss will ask you high-level questions, like how the tool helps boost sales. You can imagine that many questions will need to be answered throughout the buying process. Therefore, when you are creating content for your B2B website, try to provide as much information as you can to help buyers be prepared to answer all questions they will receive, so that your product/service is clearly explained, understood, and top-of-mind. When crafting the content, try to address all the stakeholders that will be involved in the purchase of your product. Additionally, gather the questions that you and your colleagues have been asked about your product/service and make sure that your content answers these as well to cover all the bases. As mentioned, B2B purchases entail a longer buying process and more decisionmakers are involved. Therefore, online B2B research usually does not end with a single search but rather a long process of finding information to answer different questions. Your B2B SEO goal should not be limited to attracting potential customers to visit your website. Instead, you should also aim to help your brand to be a thought leader in its niche market. To build thought leadership for your brand, your brand’s website should have a strong presence in search engines, particularly in search results that are relevant to the brand’s niche. Combined with the unique and valuable information that your website is providing, you are helping your brand to develop a credible reputation. Brand perception is a decisive factor when it comes to B2B purchases. Therefore, you should include building your brand’s credibility as an objective when developing your B2B SEO strategy. It is common to use the amount of organic traffic and the conversion rate as indicators to measure the effectiveness of an SEO campaign. However, they may not be the most suitable metrics for B2B SEO. As said, products and services in the B2B market tend to have less demand, and thus there are inherently fewer people visiting B2B websites and fewer conversion rates, making those metrics misrepresentative. To track the performance of your B2B SEO campaign, you can try other metrics, like number of enquiries you have received, number of demos that are being booked, or number of quotations that are being requested. Data is always key to improve your SEO strategies, and it is the same for B2B SEO. With these suggested metrics, you can accurately understand the performance of your B2B SEO campaign. 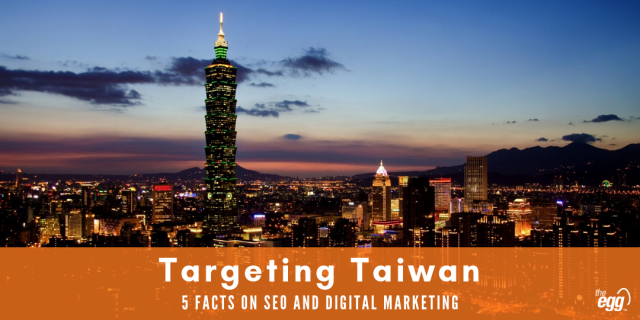 Need help with your B2B SEO strategy in the Asian market?